In today's on-demand world, people are inundated with media choices, from TV, video games, and movies to mobile devices, text messages and social media. 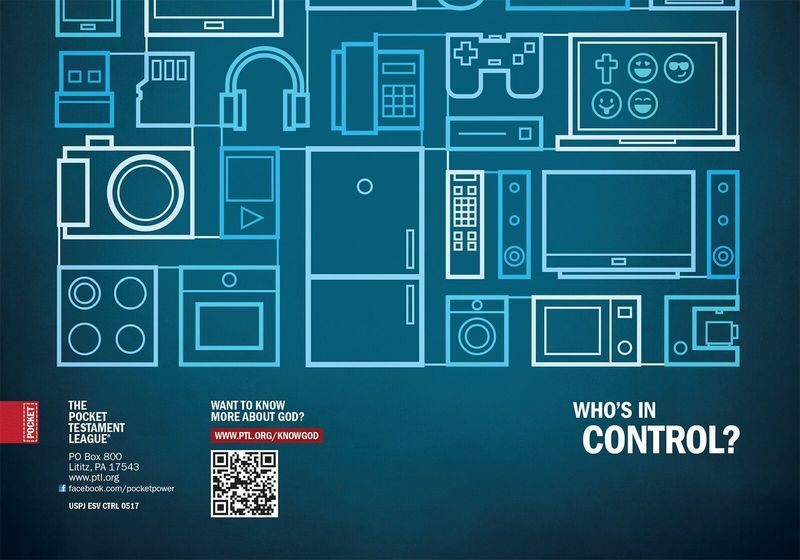 This cover cuts through the clutter to ask the all-important question: Who's in control? Use this as a powerful sharing tool for the digital natives, gamers and tech junkies God brings in your life. Throw one in your backpack to share on campus...difficulty level: zero!